How many of the 100 books have you read? View the results or watch the Grand Finale now to see Meredith Vieira honor the top-voted books and unveil the #1 best-loved novel! 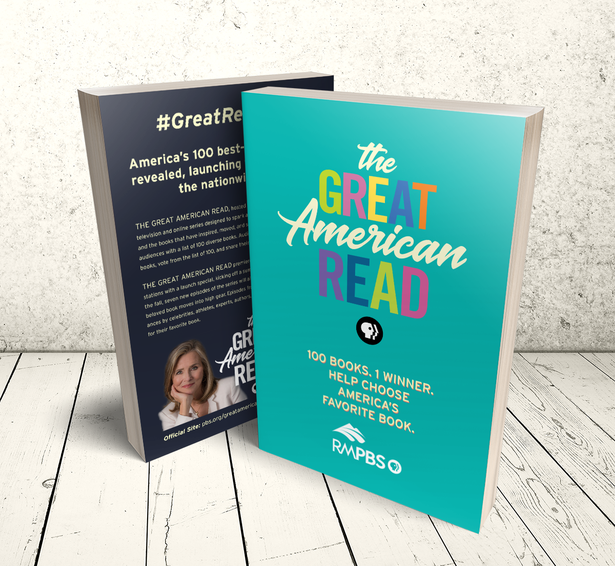 THE GREAT AMERICAN READ, hosted by Meredith Vieira, is an eight-part television and online series designed to spark a national conversation about reading and the books that have inspired, moved, and shaped us. The series will engage audiences with a list of 100 diverse books. Audiences are encouraged to read the books, vote from the list of 100, and share their personal connections to the titles. 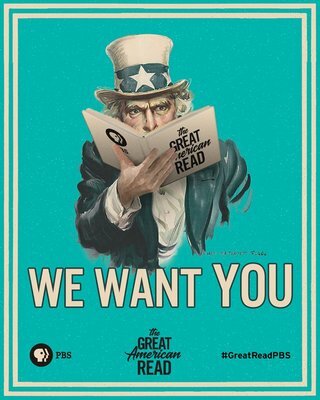 THE GREAT AMERICAN READ premiered May 22 with a launch special, kicking off a summer of reading and voting. Then in the fall, seven new episodes of the series will air as the quest to find America’s most beloved book moves into high gear. Episodes from the series will feature appearances by celebrities, athletes, experts, authors, and everyday Americans advocating for their favorite book. Q&A: Learn more about how the list was chosen (pdf). Join host Meredith Vieira in the search for America’s best-loved novel. The voting is underway, and the competition is heating up – any book could win. Follow the trials and tribulations of some of literature’s favorite heroes. From Katniss Everdeen to Don Quixote, examine how the everyday hero and the anti-hero find their inner strength, overcome challenges and rise to the occasion. Learn why literature’s most notorious villains began behaving badly. Many weren’t born evil, but became that way when faced with some of the same choices we make every day. See what these villains can teach us about our own dark impulses. Fall in love with some of literature’s most beautiful romances and explore the many forms of love, from family to passion to the unrequited type. Learn how America’s best-loved novels reflect the things we do for love. Take a magical journey to another world through some of America’s best-loved novels. From Middle Earth to Lilliput, the trials and tribulations of these alternate universes help us to better understand our own world. America’s best-loved novel is revealed. 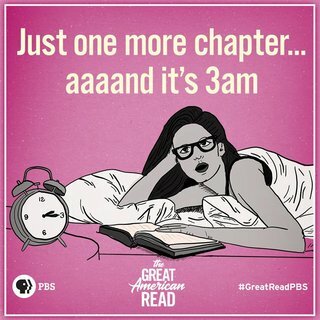 Play for a chance to win a Kindle loaded with all 100 #GreatReadPBS novels! 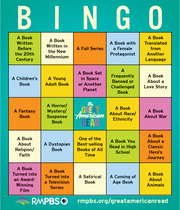 Download our official Book Bingo card and contest guidelines (pdf) to put your reading to the test! • Fill in your book bingo card by covering squares that correspond to a book on the list that you have read. • Snap a picture of your completed card. 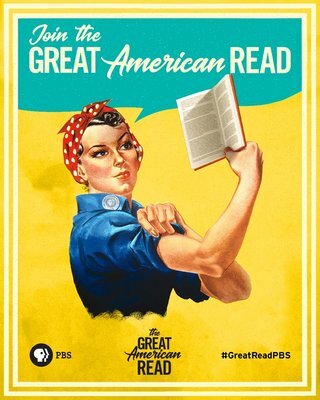 • Post to Instagram, tag @rmpbs and use the hashtag #greatreadpbs. • You’ll be entered to win a Kindle with all 100 books from the list! 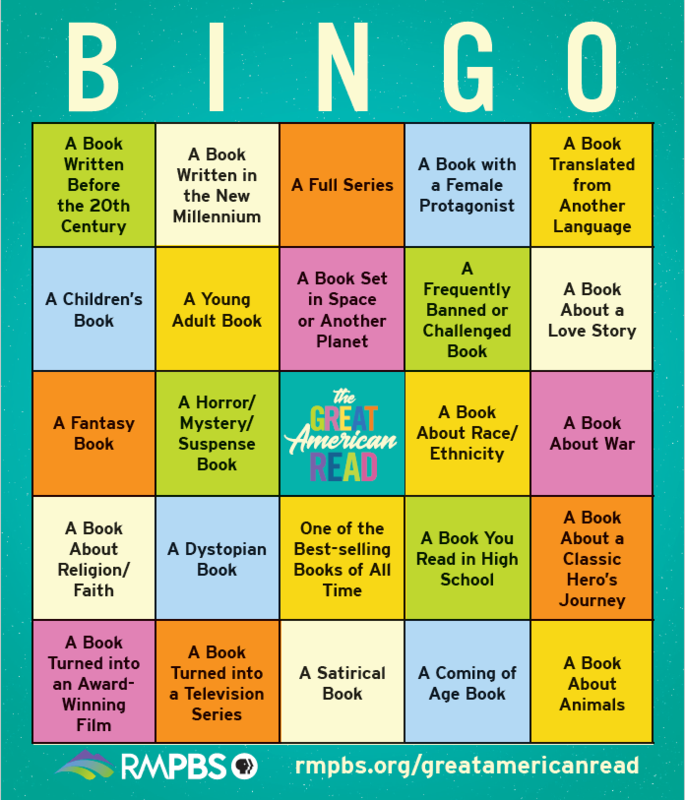 Download the Book Bingo key (pdf) to help identify Great American Read novels in each category from the Great American Read list. See full contest guidelines on the Book Bingo card pdf. Visit our Little Free Libraries! 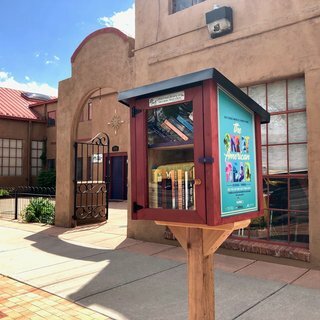 As part of our mission to support literacy, we’ve set up four Little Free Libraries around the state. Visit one of these to give a book, take a book and share your love of reading! Donate books to fill these libraries at any of the below locations!